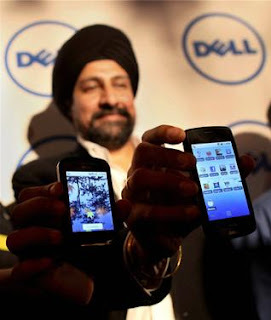 Dell, well known as PC manufacturers has debuted in the highly competitive Indian smartphone market with the launch of two new Android based smartphones XCD28 and XCD35. The company is targeting both high and low-end users with these two 3G enabled handsets. Dell XCD28 features a 2.8-inch LCD touchscreen display and a 3.2 megapixel digital camera. The 3G enabled cell phone is powered by Android 2.1 OS. Other features include internet browsing, media player supporting multiple formats for videos and lot more. Dell XCD28 Price in India: Dell XCD28 is priced at Rs 10,990 keeping in mind the average users. It's a real value for money phone. Dell XCD35 Price in India: Dell XCD35 is available at a price of Rs 16,990. According to Dell, XCD28 will be immediately available in the market while XCD35 will be available by December 2010. Can you suggest which one will be better. 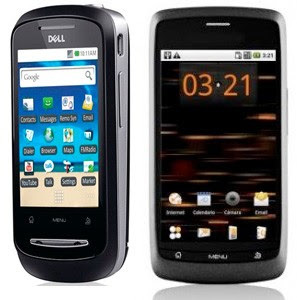 I like the QWERTY advantage in Venue-Pro..However, I would still want to compare and see which one can be better..
Amazing features..Get value for your Old Mobile Phone at www.atterobay.com and earn cash for the old trash..
Great mobile phones review. it is good looking too and they are as good as their laptops, I simply love them. I have always asked myself a question why the phones aren't lauched worlwide at the same time?